When I was messaged to say we had a copy of LEGO Ninjago: Nindroids to review, the inner child sniggered and made a crass joke about a well known medical condition that affects a certain part of your body. 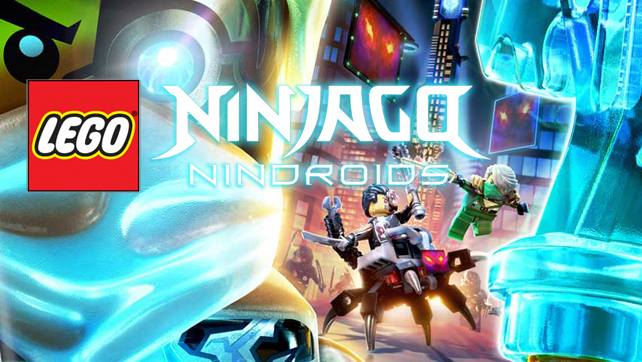 Little did I know (until I did some research) that Ninjago is the original LEGO TV series, and to follow the success of the show and the 2011 LEGO Battles: Ninjago game, LEGO Ninjago: Nindroids is the latest game to hit the shelves. Hellbent Games along with Traveller’s Tales Games have teamed up again to develop this game for the PlayStation Vita and Nintendo 3DS. 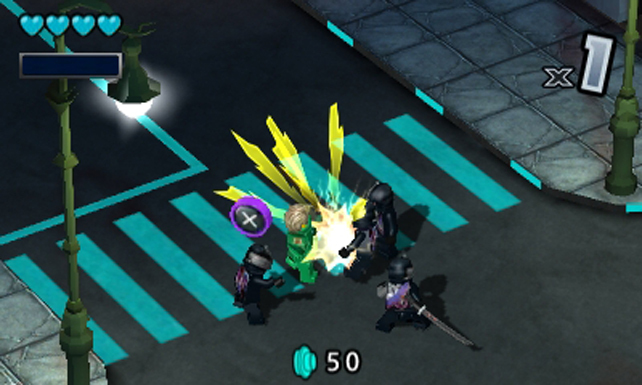 Being that I am a Ninjago virgin, I am approaching this game with no prior knowledge of the storyline or characters. This in a way makes the game more appealing to me as the LEGO franchise has been anything but slow recently. Having some major partnerships with Marvel, the Hobbit and Batman to name but a few, the games have been churned out at a relatively fast pace. Having hit a winning formula early on, little changes between games in relation to the actual gameplay and mechanics, leaving the storyline and characters to hold their own. So far this has worked as I haven’t been disappointed yet with a LEGO game, plus this is the first new LEGO game I have played on the Vita so it feels less Groundhog Day than some of the other console offerings. The game is based on the third series of the show and you are tasked with defending the new Ninjago city from the evil Digital Overlord. To do this you have the typical LEGO style multiple characters to call upon during the missions. Each one having their own special ability, whether it is a weapon or attack to get through a wall/bad guy, or a skill to solve a certain puzzle. The characters are straight out of the show and include Zane, Kai and Cole (no? me neither), with a handful of other characters also involved. 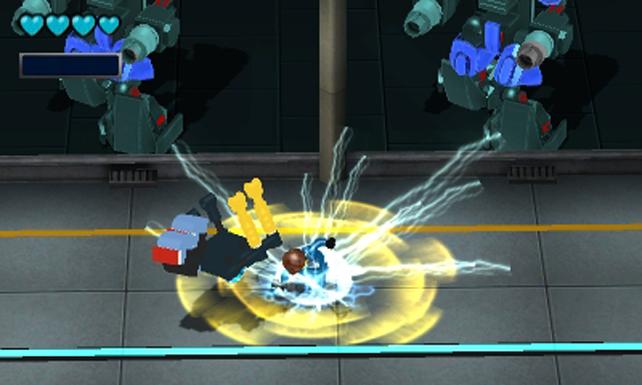 The cast is tight and nowhere near the quantity of the LEGO Movie Videogame or Marvel LEGO Superheroes. The puzzles are similar to other LEGO games but seem to be a little easier, not that the other games had difficult puzzles, and it could be that this game will be played by predominantly a younger audience and have less of an adult following. One slight difference I noticed was having to move items around in order to build the solution, not a ground breaking change though it mixes things up a bit. The mechanics of the game are the usual wander and fight mixed up with some more traditional platform shenanigans, and with some 3D style aspects which I am sure would be aimed squarely at the 3DS rather than the Vita. On the Vita such parts are a little annoying other than anything else, a little like watching a 2D film and having something unnecessarily fly at the screen. They’re clearly added for 3D effect leaving the 2D audience rolling their eyes. In each of the 30 odd levels the attention to detail is very good, as you would expect, and from what I have heard it has stayed true to the TV series. I was hoping for more, but maybe a game designed for the handheld generation is not going to be the place where the they’ll re-write the LEGO rulebook, but a couple of tasters would have been nice to test the water. The cut scenes and general character interacting that is scripted is first class, a little like how the kids animation films always have enough to keep the adults entertained. You would call it a little slapstick and comical, but never has the LEGO world taken itself too seriously. Until a LEGO The Last of Us comes out it will retain that level and humor. The levels are short but tight and well constructed; there is enough variation to keep younger gamers happy and I found I was rushing a little to get to the next bit. There is a time attack feature where you get extra bonuses if you can complete the level in a certain amount of time. It is at odds with the “explore and get all the special bricks and items” theme that runs through the game, though adds a bit of panic if you like that sort of thing. Being a fan of The Matrix I loved the start of the level where the Ninjas are beamed into a video game, the similarities in the cut scene to the human battery farms in the film is a nice touch – the rest of the level doesn’t quite live up to the same expectations. Personally, I enjoyed the vehicle based levels, even if it has not evolved from previous LEGO games. They are relatively simple and mix up the action nicely. 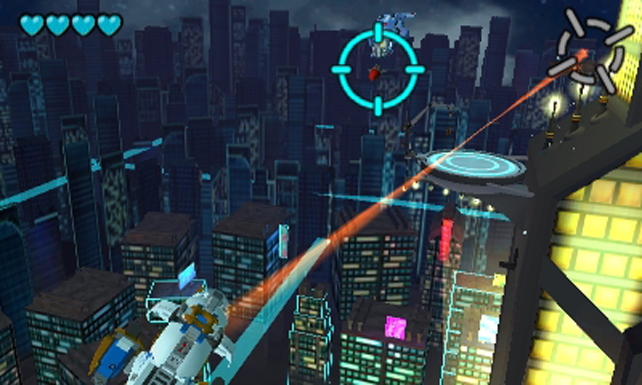 Once levels are completed they are accessible through the hub to free roam or play again. Overall I really enjoyed this game, even though I couldn’t appreciate the storyline or characters like a proper fan would, it certainly had enough to keep me entertained on the commute to work. You can easily catch a few minutes of action from time to time and hit the ground running without having to commit an afternoon to gaming. It is pretty much the same as previous LEGO games in terms of gameplay with little development, but the LEGO magic sprinkled in the cut scenes kind of makes up for it. As it is aimed at younger players the game as a whole is not as deep or multilayered, and this could be a problem for som. As it is, it’s a handheld title that works well. One slight complaint is the combo and aiming seems a little sluggish on the Vita which I have marked it down slightly for. If you are happy with the LEGO way and want a home grown story and characters then it’s for you. If you want something new and different and “box office” maybe give it a miss. 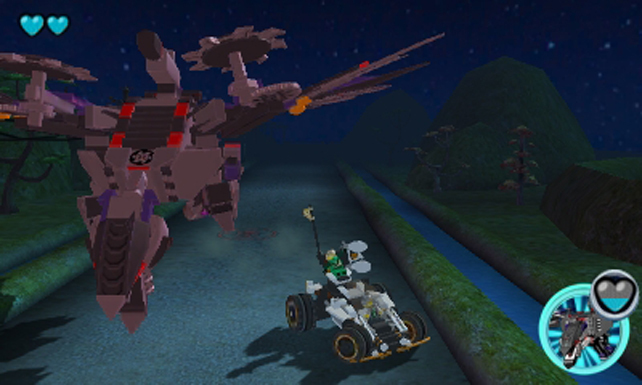 A review copy of LEGO Ninjago: Nindroids for PlayStation Vita was provided by the Warner Bros. PR team.